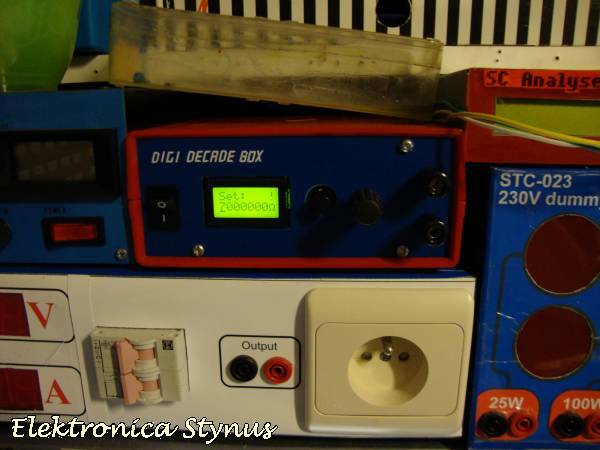 I was thinking about making a resistor decade box, but I found the rotary switches that are used in these most of the time rather expensive and a bit old fashioned. 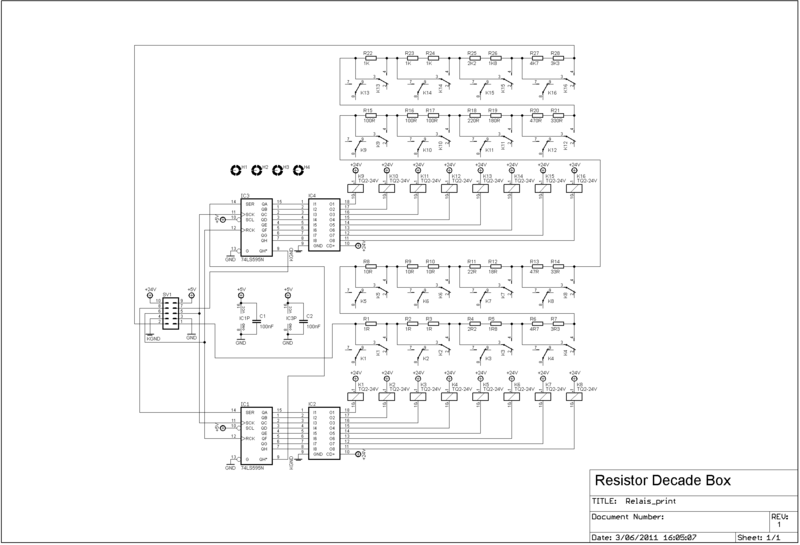 That’s why I decided to use a rotary encoder and select the resistors with a microcontroller. Now I only had to find a way to “make” the resistance. 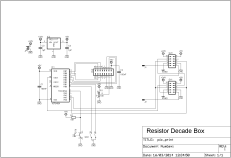 Switching resistors with transistors or mosfets gives a high switch resistance and can’t handle AC voltages. That’s why I opted to use relays. The currents that need to be switched are rather small, therefore a small relay is sufficient. 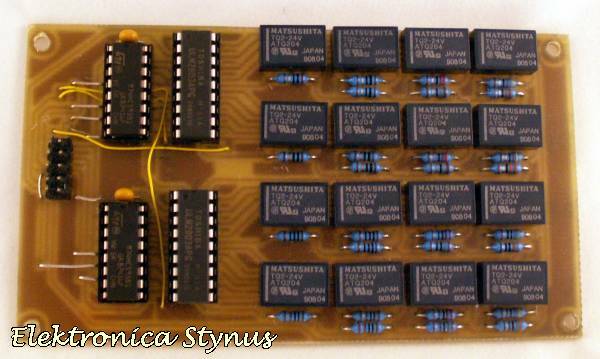 The relay board is used 2 times with different resistor values. 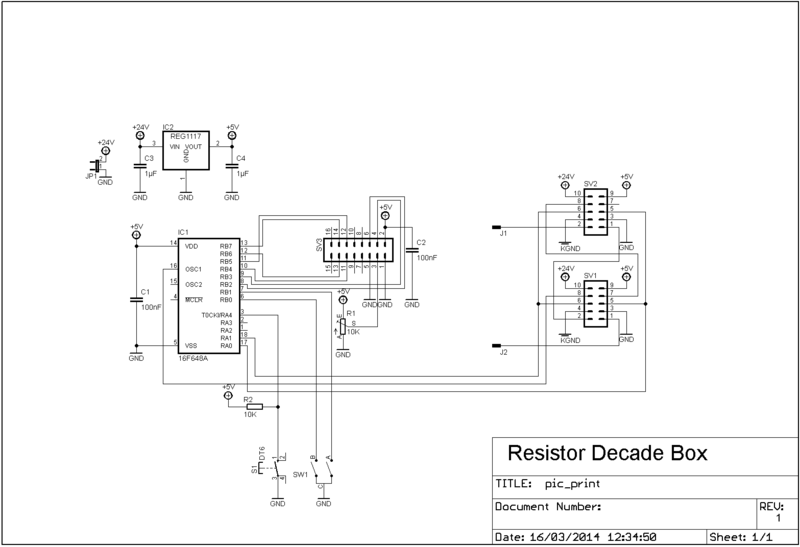 This part is made on experiment board, therefore there are no circuit drawings available. 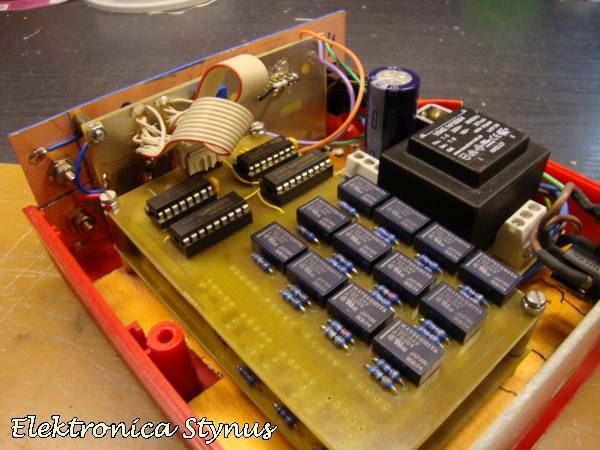 The pcb exists of a 18V transformer; a rectifier and a capacitor. 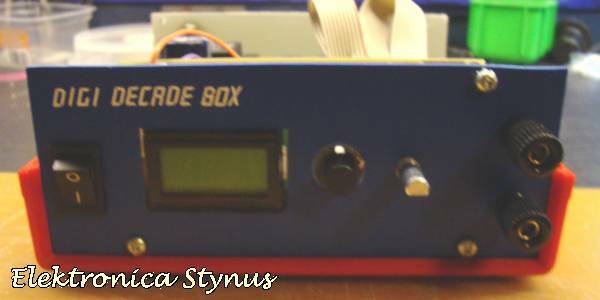 Print At 1, 1, "E-Stynus"
Print At 2, 1, "  2014  "
Print At 1, 8, "!" Print At 1, 8, " "
or are they ULN2803 ?? They are indeed ULN2803. I see that they are not in the list. I will change it. What IDE/Compiler did you use for this project? I haven’t used the Proton Compiler for many years. 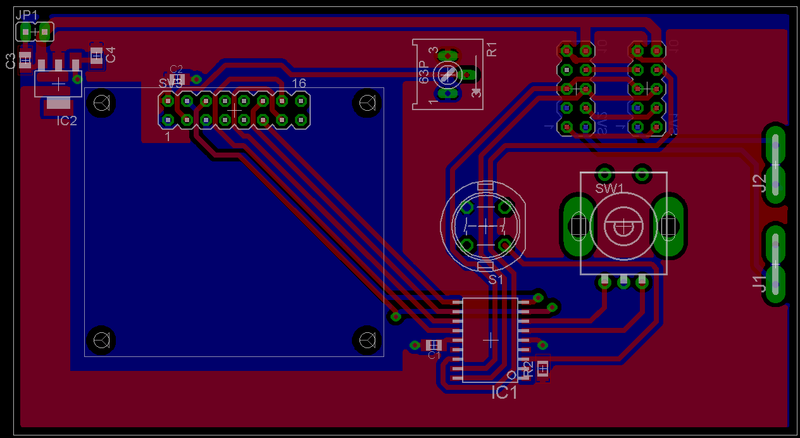 I have laid out the relay board using KiCAD. If you would like the Gerbers, or the whole project, just let me know. 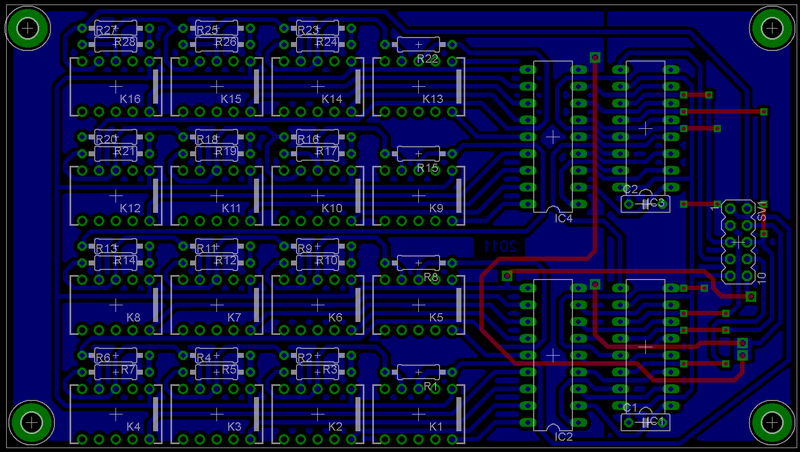 With the price that Fusion PCB charge, I can get 10 boards for around $5.00 US plus postage. 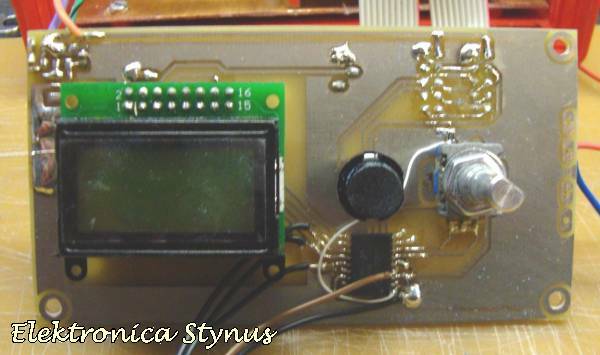 I am thinking of re-spinning the microcontroller board to use a keypad to input the resistance and perhaps an OLED display using I2C.